Dinengdeng na Saging na Saba. 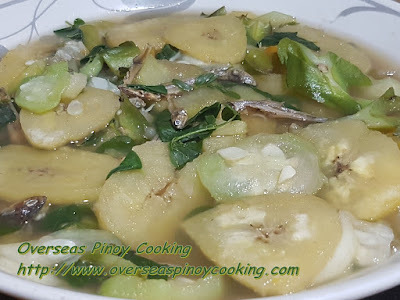 Unripe plantain banana to genuine Ilocano can be cooked into Dinengdeng. 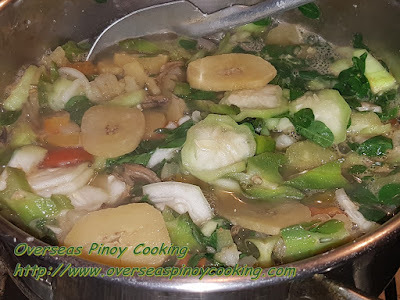 Beside making saging na saba as Minatamis na Saging or Nilagang Saging, plantain banana or saging na saba can be cooked as “ulam” or viand. 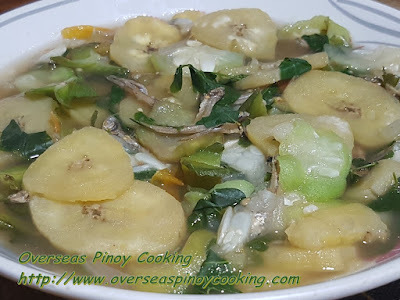 Of course we have been adding plantain bananas to out Pochero, Nilaga and other Pinoy food. But our Dinengdeng na Saging na Saba uses unripe plantain banana. Other vegetable ingredients are the same with your usual vegetable ingredients on your Dinengdeng recipes. Cooking is also the same with any other dinengdeng recipes. 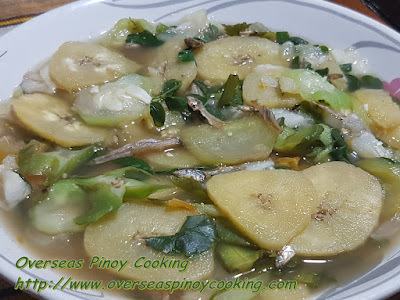 Here is the recipe of my Dinengdeng na Saging na Saba, Enjoy. 3-4 saging na saba, unripe plantain banana, peeled, trimmed. 1 big bowl of combination but not limited of the following leafy vegetables with upo and talong. 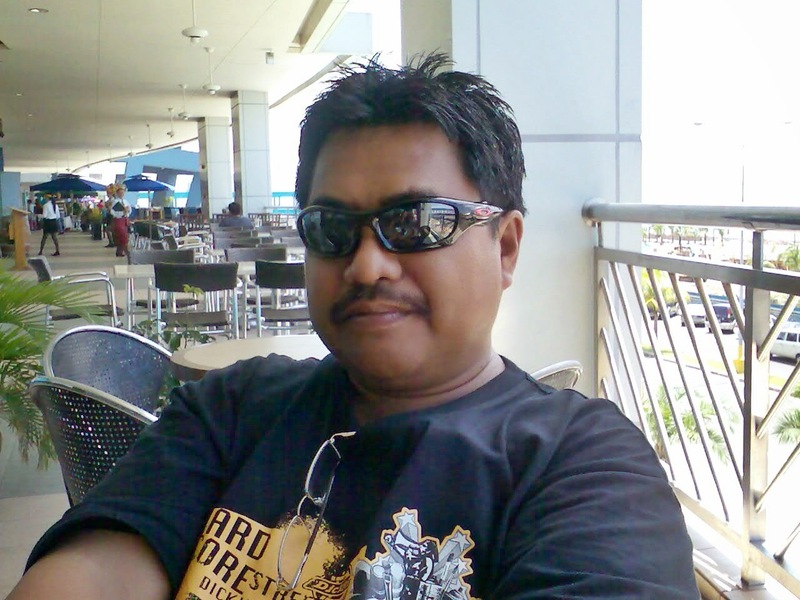 Dilute bagoong na isda in 3 to 4 cups of water, strain in a sheave and pour solution in a medium sized sauce pan. Bring to boil, add the dried dilis, ginger onion and tomato, simmer for 3 to 5 minutes, remove all scams that rises. Add in all the vegetables, vegetables that will require longer time to cook at the bottom and cook for 3 to 5 minutes or until half cooked now add the leafy vegetables at the top and cook for another 1 to 2 minutes or until vegetables are just cooked but firm, do not overcook. Season with salt if required. Serve hot with a lot of rice.